Dressmakers WAYF have created this light and airy, perfect-for-Summer, bridesmaid’s confection. With light hearted frilly tiered ruffles made from classically romantic chiffon, sweet little flutter sleeves and a flattering silhouette, “The Gywneth Ruffle Maxi Gown”, available in blue Cloud or Champagne, comes in at just $135 and should make everyone happy since girl you know you can wear this again! Available at Nordstrom. Bridal Gown Designer Yumi Katsura brings such feminine style to her very classic wedding dresses. 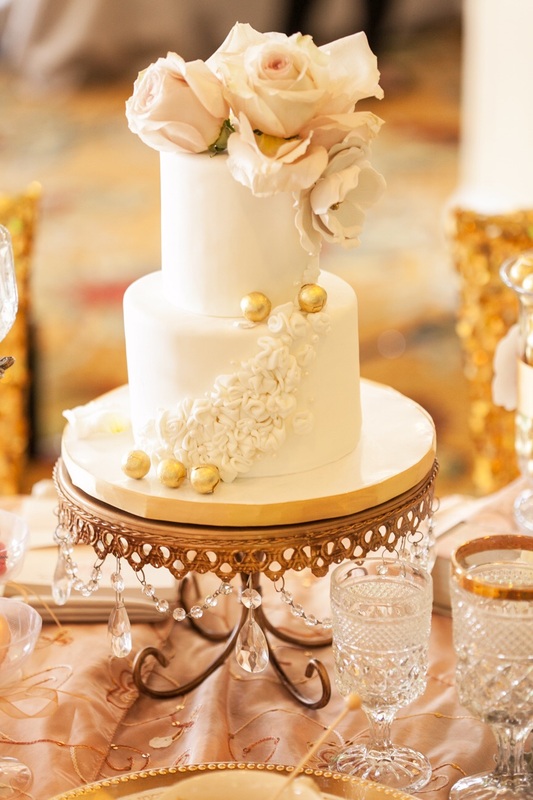 This collection is so lovely with a flair of gorgeous, classic Parisian glamour! What amazing Fall Wedding Inspiration from A Better Deal Designer Suits and Tuxedos! 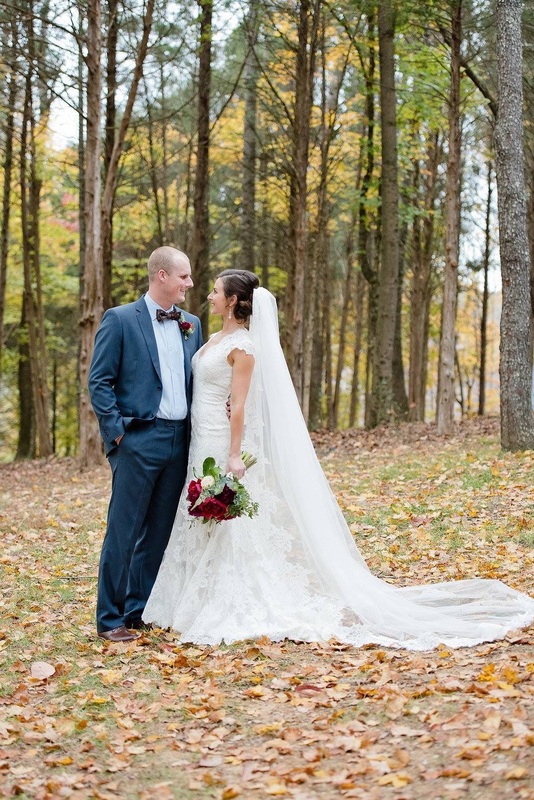 Thank you Pretty Branch Wedding Photography for these outstanding shots! Ten days and counting until its officially Fall! Get ready to bring on the pumpkin spice and everything nice! 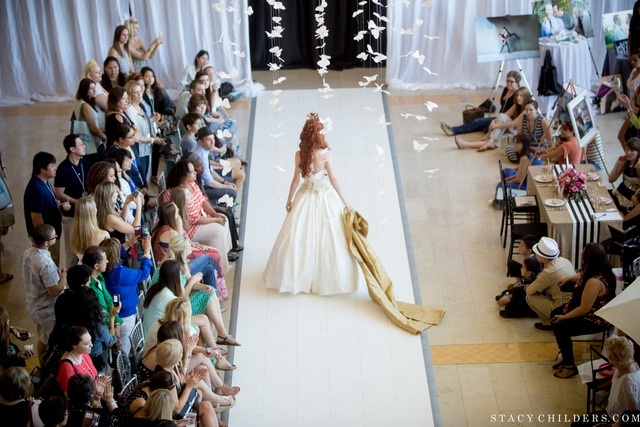 Bridal fashion shows inspire everyone with options, trends and style! 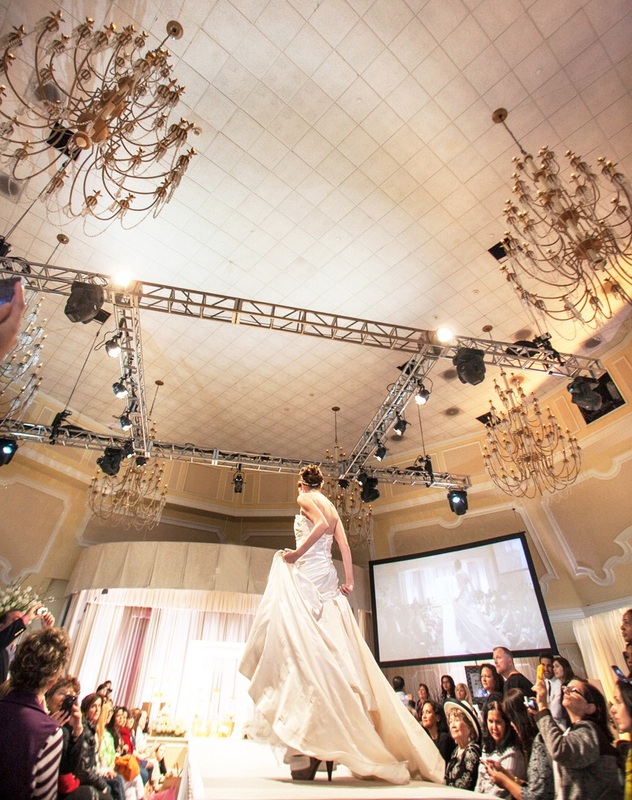 There’s nothing like a beautiful bridal gown fashion show to inspire every bride to envision herself in one of the most incredible dresses she will ever wear! 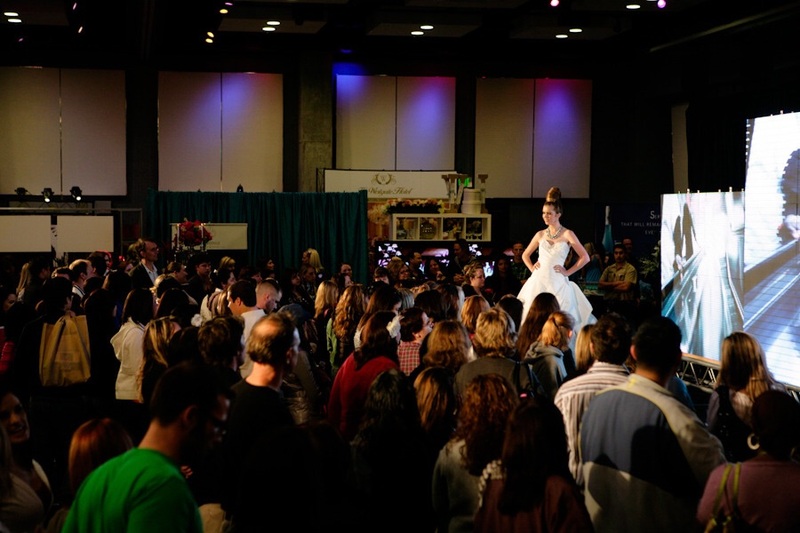 February 25 don’t miss the four fashion shows (like the premiere multi designer show by M Bride Salon - as shown below from last year’s show!) 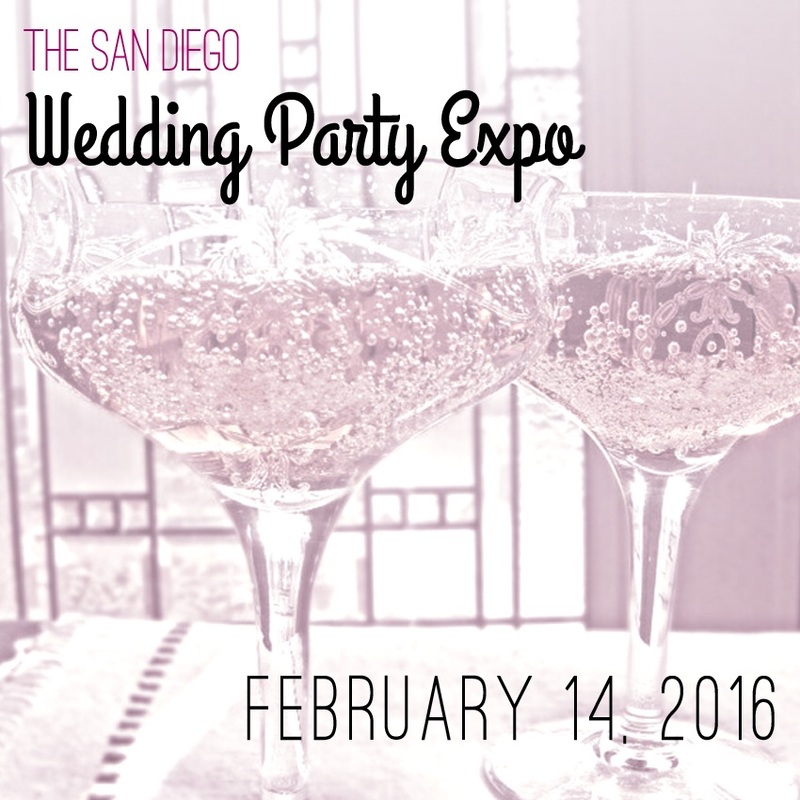 at the San Diego Wedding Party EXPO at the US Grant Hotel! Just one of hundreds of designer bridal gowns to be seen on the runway at the Wedding Party EXPO! When your something blue is a beautiful confection of a bridal gown by one of our favorite local designers Jaime Elyse then everything is heavenly. We just love it when a local girl makes good like this talented Southern Cal fashion designer and artist. And you can see why she is the toast of Fashion Weeks in Toronto, LA and New York! "Angelo di Luce", Italian for "Angel of Light", is the perfect title for this beautiful bridal couture fashion / portrait by creative photographer, and American in Japan, Chris Bergstrom for design house Fiori Couture. The gown, 'Water Lily' is a diaphanous creation that any angel would look and feel fabulous in! 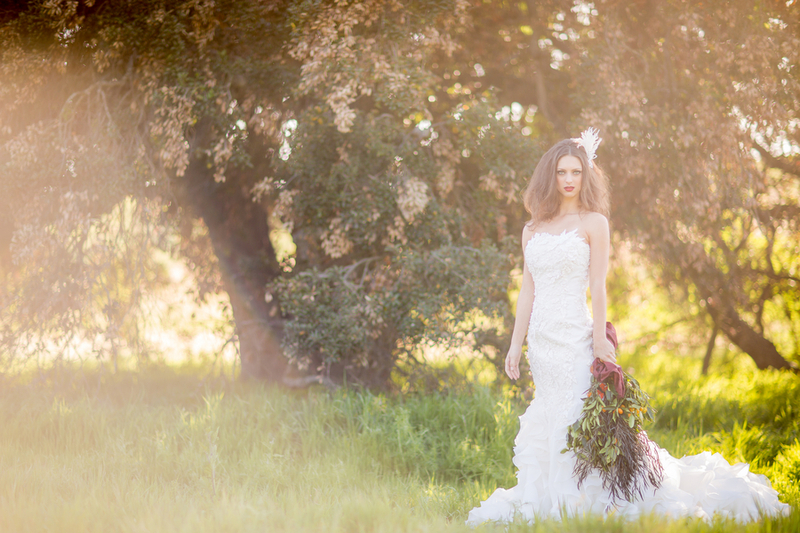 See more beautiful wedding creations by Fiori Couture. Demetrios Bridal Gowns have long been known as the choice for brides who want bold style, drama and femininity on their wedding day! Showing on the red carpet in San Diego on October 29, 2017 at the Wedding Party EXPO at Coasterra on Harbor Island, internationally beloved bridal gown and evening wear designer. Demetrios wedding dresses are known for their high quality, exquisite details, and timeless designs. Available locally at Brides by Demetrios, bridal gown specialist offering diverse collection of the namesake designer's wedding dresses. You can meet this team of caring bridal gown pros at the show along the red carpet! Lead Designer Demetrios James Elias who was born in Athens, Greece. As a young boy, he immigrated to the United States with his family. While still in school, he assisted his parents in their family-owned bridal store in Warren, Ohio. It was during this time that his love of the bridal industry grew and his passion for designing wedding dresses took hold. In 1980, Demetrios' dream of owning his own company became a reality. Virtually overnight, he turned an unknown local business into a thriving, international company. Today, bridal boutiques throughout the world proudly sell Demetrios wedding dresses. As both designer and owner, Demetrios is an icon in the bridal fashion industry. His wedding dresses offer women the widest and most versatile styles, and are on the cutting edge of the fashion world. "Breakfast at Tiffany's", starring Audrey Hepburn, is an iconic movie of style inspiring generations of fashion moments, designers and urban fashionistas everywhere. Bridal gown designer extraordinaire Reem Acra has created a collection of wedding dresses inspired by this sophisticated, elegant and beautifully classic style and thankfully Harpers Bazaar created a photo shoot in Tiffanys that will take your breath away! Enjoy the video of this shoot too! Separates are coming together to make a fresh new look for the modern bridesmaid! Designed for universal flattery, a sweeping chiffon skirt boats classic wrap styling with a defined waist by Joanna August. Bridesmaids separates are perfect for anything from a casual to a semi formal event and are extremely re-wearable (your maids will thank you). Check out these gorgeous bridesmaids looks by designers Joanna August, Jenny Yoo and Monique Lhuillier. An A-line skirt offers delightful flounce sewn from layers of frothy tulle that drop from a fitted waist by Jenny Yoo. 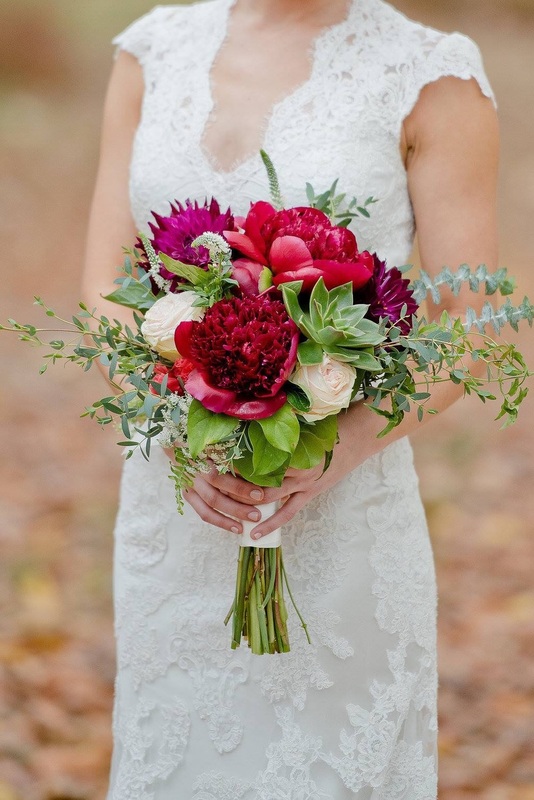 Editors tip: bringing a similar color palette story; soft grey with blues, blush with pink, lilac with purple, for your wedding party will give your girls a cohesive look in person and in your photographs. Reminiscent of a prima ballerina this high low tulle skirt by Monique Lhuillier brings a fresh look to a formal affair. 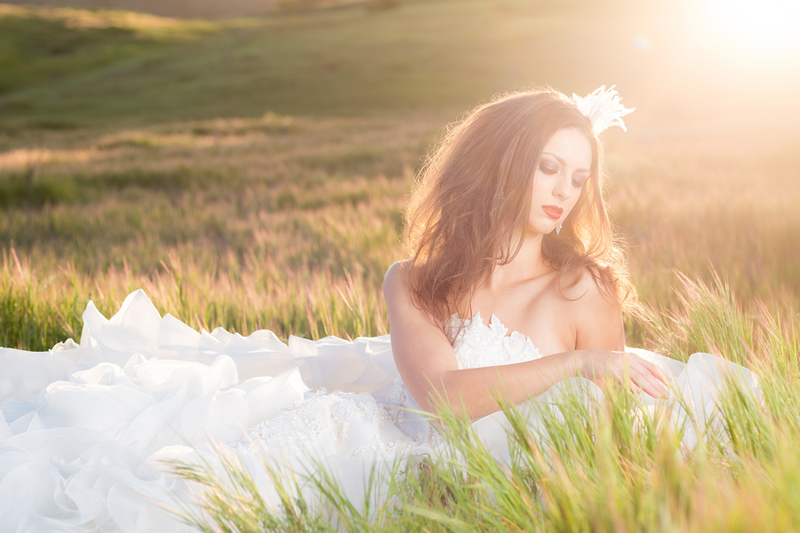 Check out our list of bridal and bridesmaid fashion experts in San Diego! Gorgeous sequin combo by Jenny Yoo is perfect for your maids in a formal wedding wedding. Hot new bridal gown designers Sachit and Babi premiere at M Bride gown salon in La Jolla December 4-6, 2016. Sachin and Babi were featured in WWD and New York Times this bridal market. M Bride gown salon is one if the top salons in Southern California and they are so excited to bring this fashion forward collection to So Cal for the first time. Price range for these gorgeous bridal gowns is $2600- $5200. Please call 858-551-1718 to schedule your appointment with M Bride now. Don't miss the debut collection of Sachin and Babi December 4th-6th. A rooftop scene overlooking America’s finest city combined with the chic beach styling plus bridal gown Designer Hayley Paige's contemporary style, and that gorgeous Afghan dog model, makes for an awesome 'modern coastal glam' bridal styled shoot by Photographers Heather and Skip Middleton of Shadowcatcher Imagery. The Renaissance San Diego Hotel [a new and exciting Marriott property] located in the middle of the Gaslamp district of San Diego provided a picture perfect bold and dramatic locale for this fun shoot. The models had a lot of fun inside this trendy hotel and AKC Champion Afghan show dog Bo was the star of the shoot! 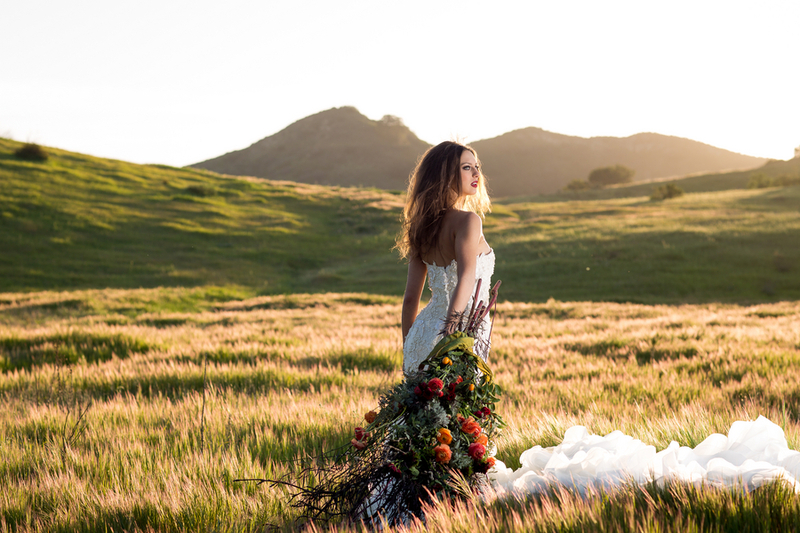 When Skip, Heather and Kendra from Shadowcatcher Imagery collaborated with Diana from At Your Side Planning to style this dramatic and one-of-a-kind shoot they pulled out all the stops. The jaw dropping bridal gowns by Hayley Paige from The White Flower Boutique brought the perfect architectural drama to this venue and shoot. The reception room was grand with a welcome champagne table, message in a bottle guest book, sea shells delicately placed throughout and the most gorgeous sweetheart table ever styled. 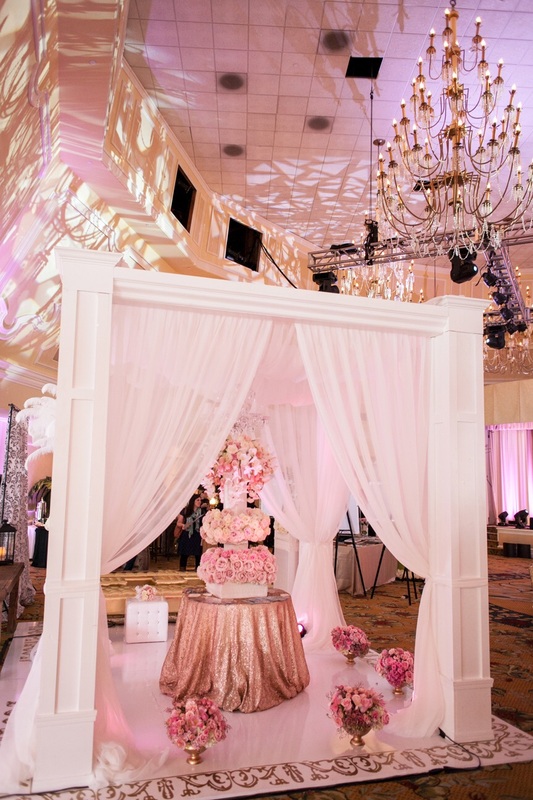 Everything was designed with a coastal element and The Renaissance Hotel's posh style was the perfect backdrop for all this coastal glam style! San Diego's very own BHLDN store is opening soon! You heard right! Anthropologie's fantastically popular, trend inducing bridal division BHLDN (pronounced "beholden") is opening a bridal store in Carlsbad at the Forum next month! The grand opening is slated for August 9 with a special Soiree August 11. Prepare to swoon! BHLDN Took the bridal fashion world by storm a few years ago when they were introduced to rave reviews with a rich style that speaks to brides young and old p, casual and formal. Designer Joseph Abboud is well known in the fashion industry for his cutting-edge men's fashions, sharp clean lines and gorgeous fabrics. From chic classic tuxedos to on-trend suits and jackets, he's one of the hottest designers bringing style to groomsmen's fashions. Local men's styling experts Jerry and Janet Klein, owners of A Better Deal Designer Tuxedos in Bird Rock La Jolla, are one of the largest and most experienced tuxedo rental companies in Southern California. Most importantly (and often overlooked these days) they are true men's fashion fitting experts. Nothing looks worse than an ill fitting formal suit on a man! And they even sell suits and tuxes for the man who goes formal on more than his wedding day. We love this inspiration gallery of Joseph Abboud tuxedos in some of today's hottest men's wedding fashions. If your groom and groomsmen really want to look their best on their wedding day give Jerry and Janet a call! The A Better Deal Tuxedo experience includes expert guidance. Jerry and Janet are menswear professionals with over 40 years in the fashion business. They really know traditional black tie, including every refinement and detail that creates this sophisticated look, and are always on trend with the most current, contemporary formal fashions as well. Your ultimate choice depends upon your personal style, the type of event you are attending, and the cuts that best complement your physique. Grooms are invited to schedule a personalized complimentary "try on" of their desired wedding day look. Jerry and Janet will never rush you (editors note: we know we work with them on styled shoot and fashion shows and they really know their stuff!) and provide a comfortable, unhurried environment to explore. They happily offer complimentary on-site tailoring to ensure an optimal fit. No matter how fabulous the clothing, it won’t be flattering or comfortable if it doesn’t fit you right! Many people talk about wanting to feel like a princess on their wedding day but we think it's better to straighten that crown and feel like a queen! Wearing a crown gets you in touch with the empowered beautiful and regal soul that you are and these four crowns by uber bridal accessory designer Justine M Couture (Kleinfeld New York and Kleinfeld Canada's favorite and best selling accessory designer!) will have you enjoying your wedding day like royalty! The Florence Crown with 13 pieces of large diamond filigree create a full oval crown decorated with Swarovski baguette, princess and navette cut rhinestones in silver, gold , rose gold or white metal silver stones. The Mermaids Purse Crown, molded filigree encrused with Swarovski rhinestones and mother of pearl flowers in antique silver metal. The Sitens Crown is a tall, vintage soft silver filigree decorated with rhinestone chain and Swarovski rhinestones. The Windsor Crown has an antique base Spanish filigree encrusted with Swarovski rhinestones and chain creating a tall regal crown in soft sillver. Born in Southeast England, to a family of French and English lineage, Lead Designer of the Justine M Couture collections, Justine Louise Helena Murray, brings a sophisticated marriage of the romantic, feminine flair of French style and the tradition and regal elegance of English aristocracy, to all her jewelry and veil designs. 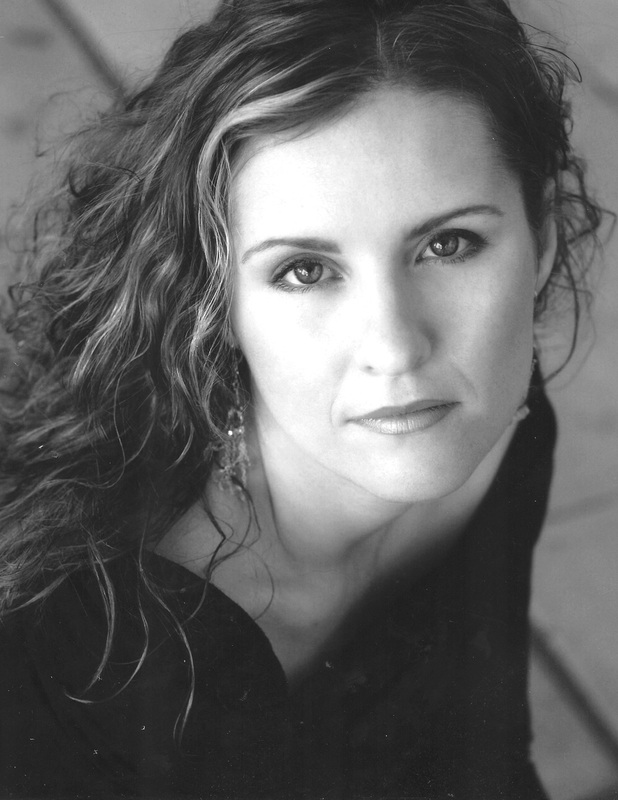 Traveling the world collecting ideas and inspiration, Justine made her home in Southern California and in 2002 created The Tiara Room, a charming and popular retail boutique offering her own designs to Southern California brides and event stylists. From this hands-on beginning with bridal clients, Justine evolved into designing solely for retail boutiques around the world and the Justine M Couture collection was born. Justine M Couture offers discerning brides a distinct alternative to traditional accessory styling. The collection aims to capture the imagination through extensive use of eclectic materials, raising the level of bridal fashion to that of artistry. The 2015/2016 Justine M Couture collection reflects both her English and French heritage. Her pieces relate both a vintage appeal and a contemporary impact, with a timeless classical foundation that is the key to its appeal and success with brides everywhere. Culling from a wide range of components; from laces to filigree metals, the Justine M Couture line captures attention worldwide. 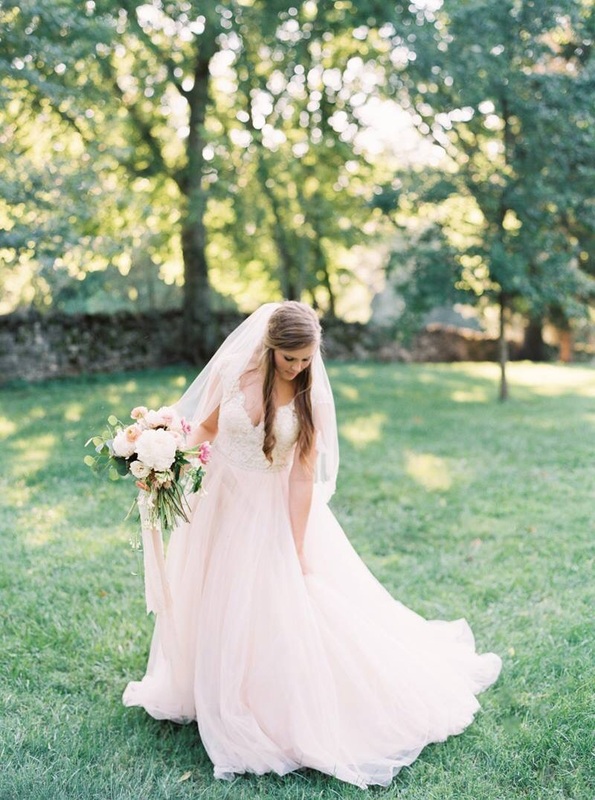 A true classicist, the designers at Winnie Couture has been the go to bridal gown designer for brides who want to reflect a beautiful, abundant elegance on their big day. Offering two collections; Blush and The Diamond collection, Winnie Couture offers brides a multitude of styles that all bring glamour, elegance and classic grace to any wedding. Based in Beverly Hills, California, Winnie Couture is a high end attire brand with a modern mix of classic elegant and sophisticated couture. It blends femininity and luxury to create bridal attire silhouettes that are flattering and timeless. Winnie Couture is founded by Winnie Chlomin and Chris Lee, a wife and husband team in 2001. 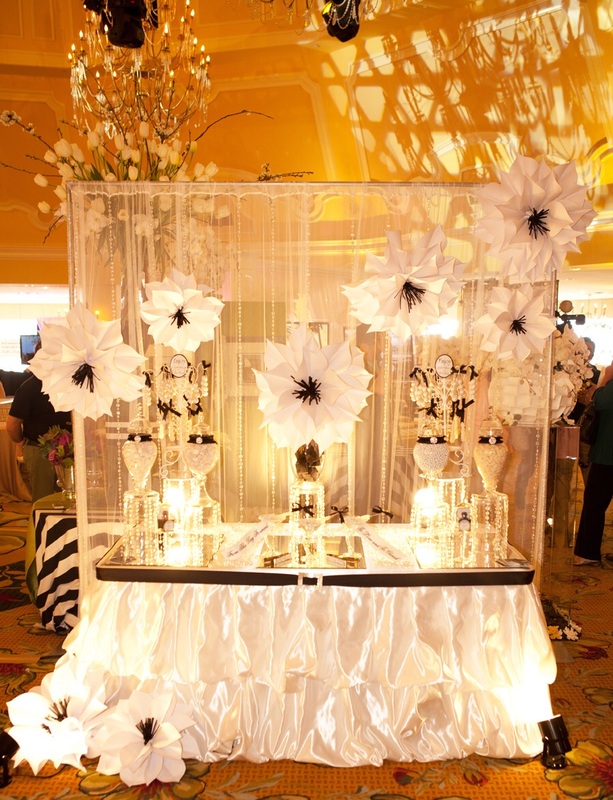 Their passion and devotion to the bridal industry have gained them continuous success. 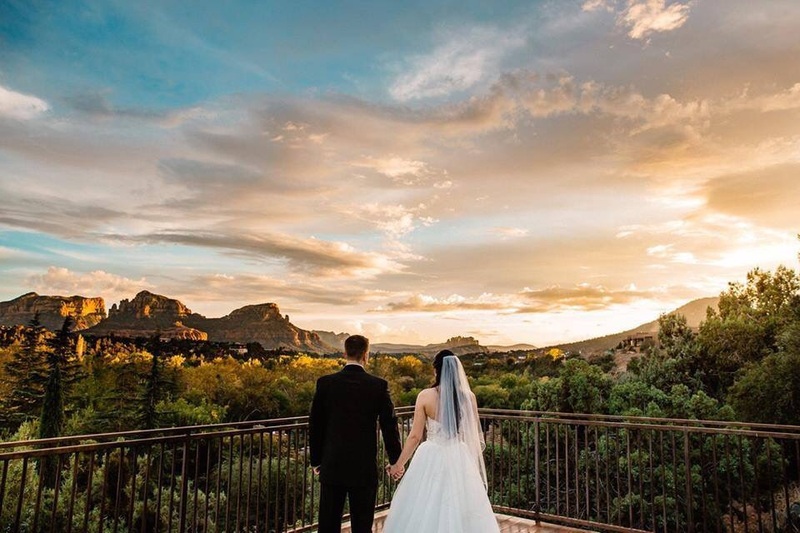 After just a few short seasons, Winnie’s incredible sense of style and Chris’ business and entrepreneurship skills have positioned the Winnie brands as one of the fastest growing, most-in-demand bridal collections across the country and overseas in places like Europe and Asia. In fact, in just less than five years, the brands have become available in over 150 stores. The company progressively developing a range of distinctive luxury attires consistent with the brand’s values and is internationally regarded as a prestigious leader in the bridal industry. Featured in prominent high-fashion publications such as InStyle, Brides, Modern Brides, The Knot, Modern Luxury, People, etc... plus numerous appearances on National TV shows and Hollywood films, Winnie’s designs quickly became known for their immaculate craftwork and impeccable fit. Winnie’s profoundly feminine gowns have become favorites amongst industry insiders, celebrities and fashionistas alike, as seen on Kelly Clarkson, Lea Michele, Giuliana Rancic, Masiela Lusha, Helen Hunt and many more. Local fave bridal salon M Bride has brought the fabulous Monique Lhuillier bridesmaid collection to San Diego!! M Bride Salon is hosting a trunk show this weekend for the Monique Lhuillier bridesmaid collection so if you call now they may still have a few appointments open- 858-551-1718! Just a little breathtaking fashion, styling, photography and beautiful nature to brighten up your day with light. 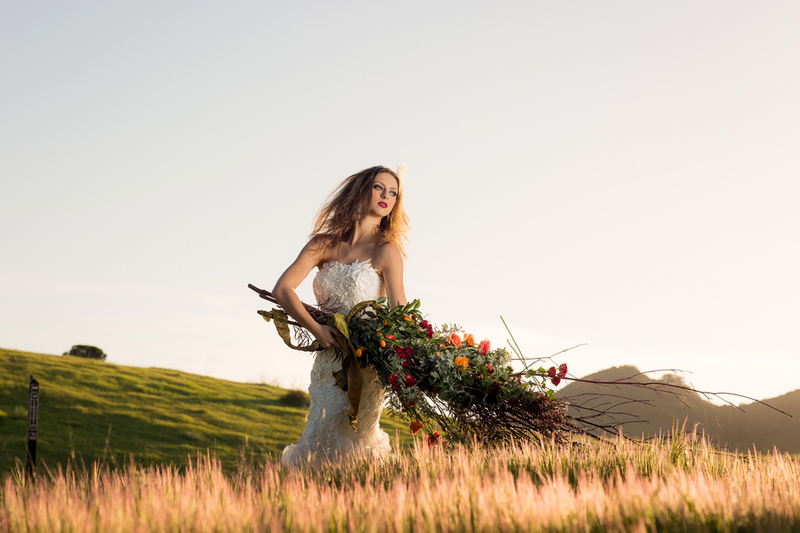 We love this Bridal Fashion editorial shoot captured by Christopher TODD Studios in the open fields and rolling hills of Thomas Riley Wilderness Park, California. With Mother Nature's stunning hues of greens and blues brightening the palette, bold natural and wild flowers bringing natural drama, a butterfly net to catch a few dreams and fabulous gowns by Pronovias Atelier and Yumi Katsura, we know you will see the light! A Light exists in Spring, Not present on the Year, At any other period -- When March is scarcely here. A Color stands abroad, On Solitary Fields, That Science cannot overtake, But Human Nature feels. It waits upon the Lawn, It shows the furthest Tree, Upon the furthest Slope you know, It almost speaks to you. Born in Tokyo, Japan, Yumi Katsura graduated from Kyoritsu Women's University with a degree from the Department of Apparel Science Studies. After moving to Paris, Katsura studied the techniques of haute couture in Paris at Les Ecoles de la Chambre Syndicale de La Couture Parisienne. In 1964, Katsura opened her first bridal salon, as well as presented the first bridal collection show ever held in Japan. Not too long after opening the salon, Yumi Katsura published "The Bridal Book," the first Japanese book specializing in bridal fashion. In 1981, Katsura expanded her business into the U.S., France, and England where she participated in the Japan Fashion Fair. Some of the most exclusive stores in the States, such as Saks Fifth Avenue, Bergdorf Goodman, Henri Bendel and Neiman Marcus, purchased her dresses. 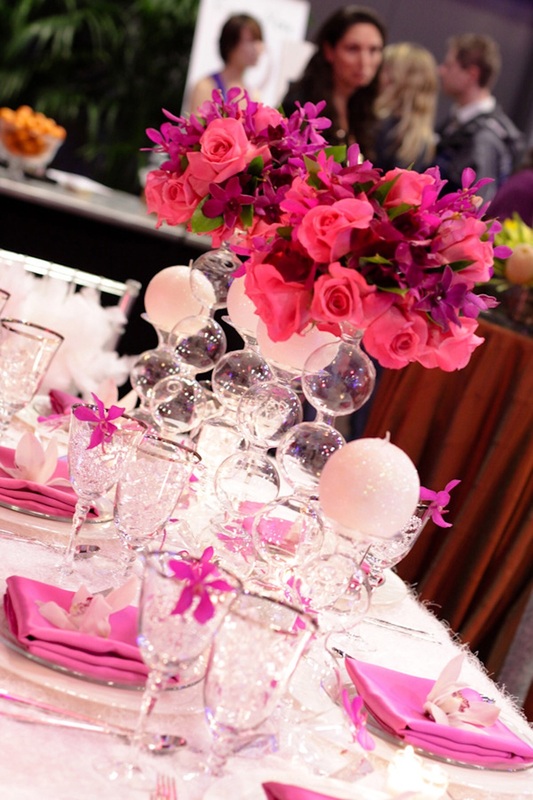 San Diego's great big beautiful wedding planning show for all engaged couples is back at the Hyatt Regency Mission Bay on Sunday, February 14 of next year and we can't wait! Brides, grooms, maids, groomsmen, moms, dads...everyone loves the Wedding Party! The Wedding Party has the most stylis, on trend wedding fashion shows in the country. 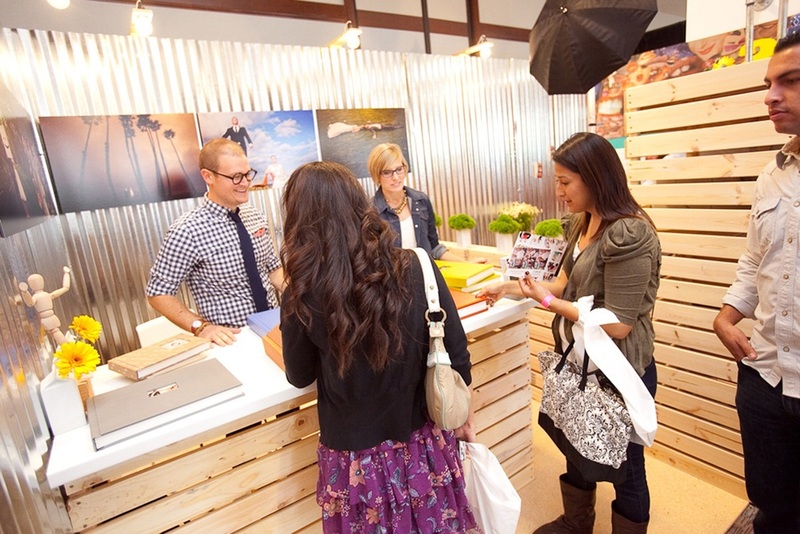 With fabulous food and fashion you'll love this show famous for its open and stylish format. 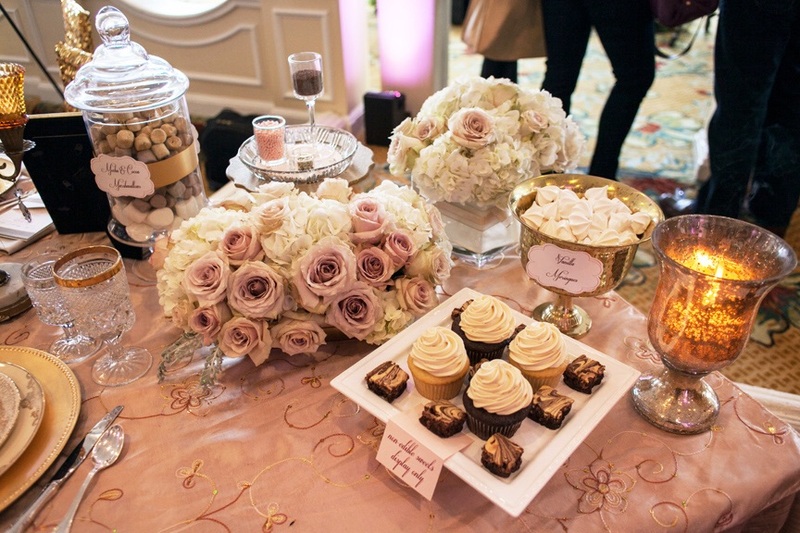 Gorgeous displays from top wedding resources are like a living Pinterest board! Don't miss the chicest wedding planning fair in town! 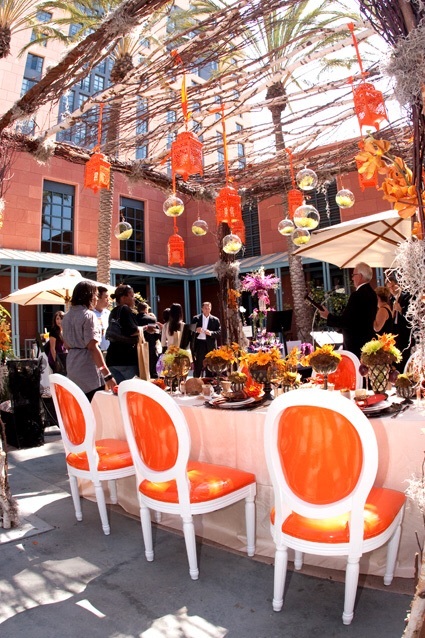 Get your tickets to the April 28, 2019 the 50th San Diego Wedding Party EXPO will be at the Coasterra Event Space + Float + Restaurant! Don’t miss it! enjoy our latest issue of NUPTIALS e book with weddings, editorial fashion shoots, and the latest wedding ideas! we love to give stuff away!